„Smiling in your brother’s face is an act of charity.” – said Prophet Mohammed. Apart from this trifle no other doubts emerged in connection with Brett. It was a known fact that he is a talented actor who will be perfect in the role. Difficulties occured for Jeremy though. Conan’s hero is the national pride of Great Britain and many other nations like him as well (USA, France, Switzerland, Japan, etc.). In addition, earlier the brilliant Basil Rathbone portrayed the character so masterfully, that for many people he was Sherlock Holmes himself. So the role was a huge challenge for Brett. If he fails, it can be a fatal repulse, but if he succeeds, he will be identified with the role – and the latter may be trying sometimes, because of the trespass of some fans. The stories of the canon were familiar to Jeremy and he often reread them while working on the series. He told in interviews that he saw Holmes as a very dark figure (Unfortunately this was because of his depression, he saw himself and the world worse than they really were.). But his special viewpoint resulted in an extraordinary delicacy for the audience. Brett’s detective was stricter and he became unique. 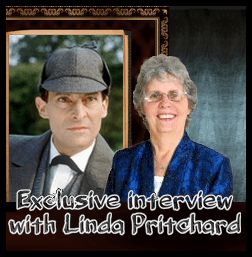 The actor realized how important was his own profession for Holmes, and he played the sleuth according to this. When he found out how many children look at Sherlock as their role model, with the help of his second Watson, Edward Hardwicke they arranged a scene where the detective quits using drugs. They did not wanted Holmes to be a bad example. Though the detective smoked, its harmful effects were unknown in the Victorian era, and some even said that smoking is good for the health (More information: The pipes of Sherlock Holmes). On the other hand, the pipe is one of the most familiar symbols of Sherlock Holmes (this fact had been respected by filmmakers till the most recent modern adaptations.). Brett sadly could not quit smoking. Yet, because of the change he achieved with the drug use of Holmes we can say that he was fully aware of the educational effects of the media, and he used every possibility to utilize its benefits and communicate worthy things to the viewers. Filmmakers wanted to left out the famous rose monologue from The Naval Treaty, which deals with the providence of God. Jeremy fought for keeping it in the script, because it shows the more sensible side of Holmes and the philosophical and literary greatness of Conan Doyle as well.
" There is nothing in which deduction is so necessary as in religion," said he, leaning with his back against the shutters. "It can be built up as an exact science by the reasoner. Our highest assurance of the goodness of Providence seems to me to rest in the flowers. All other things, our powers, our desires, our food, are really necessary for our existence in the first instance. But this rose is an extra. Its smell and its colour are an embellishment of life, not a condition of it. It is only goodness which gives extras, and so I say again that we have much to hope from the flowers. " 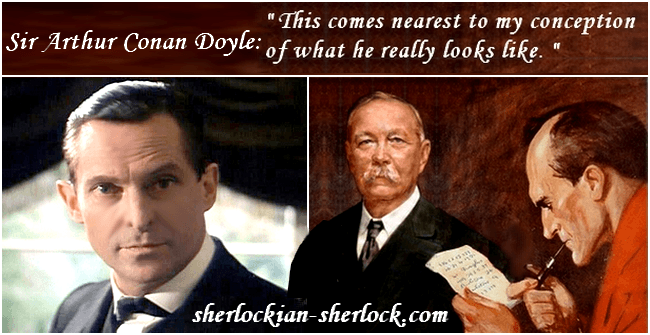 - Sherlock Holmes quote from "The Naval Treaty"
Brett’s service was his humble and heroic work in the Granada series and in the theatre, in the play The Secret of Sherlock Holmes. Unfortunately not only his health was deteriorating, but the studio encountered financial and other difficulties. It was painful for him that some stories were totally rewritten and altered, and he talked about it in interviews as well. But in spite of all the changes the Granada series is the longest small screen adaptation of Doyle’s adventures, and the most faithful to the canon as well. Jeremy had a troubled life. He had tough days because of his self-doubt, his depression and the tragedies he gone through. Shortly before his death he found consolation when his doctor told him that the adventures of Sherlock Holmes remain accessible for the upcoming generations. It gives us comfort, hope and strength that the legendary Granada series will last, in which the work and the memory of Joseph Bell, Conan Doyle, the fascinating actors, Michael Cox and the crew lives on. The series evoke a smile on our faces. The light, what was sent off by the amazing Conan Doyle, reaches our hearts, and artists like Sidney Paget, Robert Fawcett, Basil Rathbone or Jeremy Brett helped to make it even brighter.